You matter and you will not be forgotten. 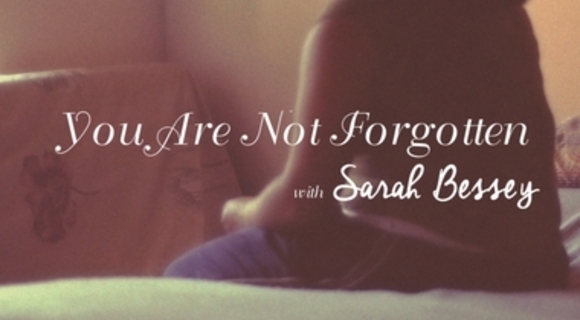 Sarah Bessey on God's promise to make all things new. My grace is enough; it's all you need. My strength comes into its own in your weakness. You don't "have to" participate in The Resurrection, you "get to." Tripp Fuller on joining the protest march in God's love rebellion.